Me And My Friends Are Jem Girls! 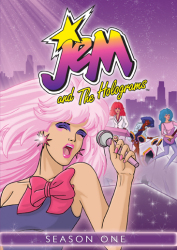 The adventures of Jem and her band The Holograms continue with a talent search for a new member, an Aztec mystery, a trip to meet the President, a Hollywood film and more! 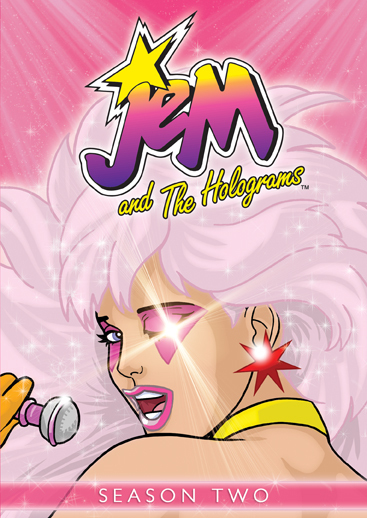 Jem and The Holograms are producing hit after hit on the music charts, but keeping Jem's true identity a secret has been far tougher. 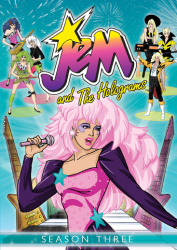 Kimber, Aja, Shana and newcomer Raya are Jem/Jerrica's best friends as well as the musical force behind Jem — and the only people who know her true identity. 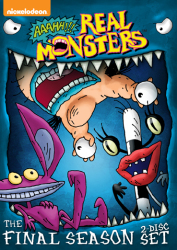 Together the girls provide cool cover-ups for Jem/Jerrica while navigating some pretty sticky situations and battling their troublesome rival rock band, The Misfits!